The June 26th meeting required a quick change of the program schedule. Ron Lindsay (previously scheduled for July switched months with Jim Rinde who will do the July topic as listed above. Jim started the meeting by having Sam Turner bring us up to date on our participation and preparation for this year’s Ventura County Fair. The Fair is open from August 4th-15th. We will again share space with the Channel Islands Woodturners and will help to refurbish the booth’s table top on July 19th. 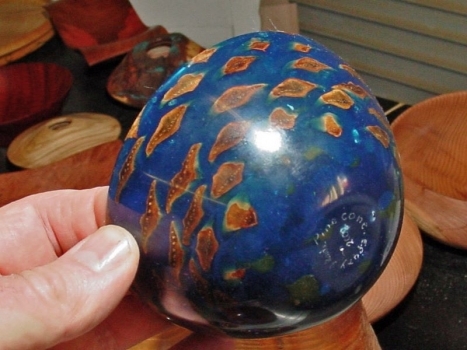 The judge for the woodturning Division 340 will again be Dan Hogan from the Glendale Woodturning Guild who did such a great job last year. The Class descriptions in the woodturning division are the same as last year and we can enter only one piece in each class. 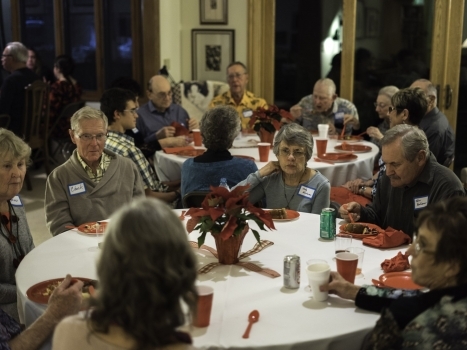 The goal is to have everyone enter something in each Class so that the entire Division is well represented. We gained the notice of the Fair organizers by our outstanding participation last year and wish to continue that reputation this year. Note that the entry dates as published in the printed and online Premium book are incorrect. The correct dates to take your work to the fair grounds are Wednesday July 21st ,10:00 a.m. to 6:00 p.m. and Saturday and Sunday July 24th and 25th, 10:00 a.m. to 5:00 p.m. Entries are not being accepted on the usual Friday date due to a conflict. Note that our next meeting is also on July 24th. Check the Division 340 information on page 48 of this direct link to the premium book. Sam also began signing people up to take turns on the demonstration rotations during the fair. 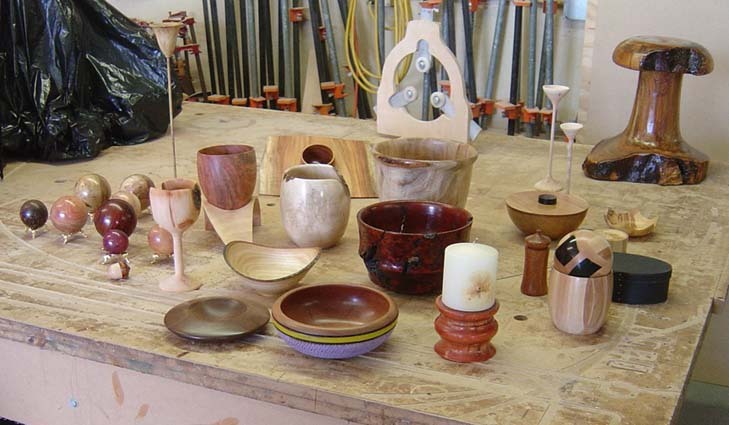 Remember you must be a member of our parent organization The American Association of Woodturners to be eligible to demonstrate for us. If you are not already a member you still have time to join. This gets you the insurance coverage we need, but more importantly you will receive the quarterly Journal which is full of useful information for woodturners – both beginners and advanced. 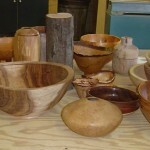 Ron Lindsay collected our turning pieces and has set up the July display at the Camarillo Library. Stop by and take a look. 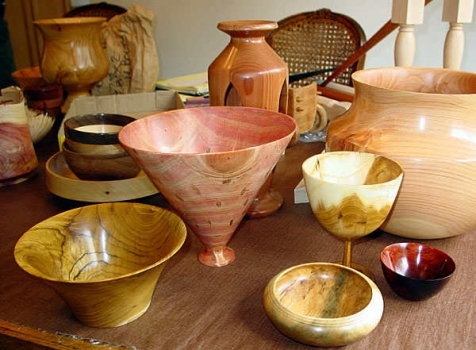 This follows the excellent display in May at the Thousand Oaks library and is another way to educate the public about woodturning as both an art form and as a hobby. The show N tell session brought out a great variety of turnings demonstrating the wide diversity of interests within our club as shown in the photo below. 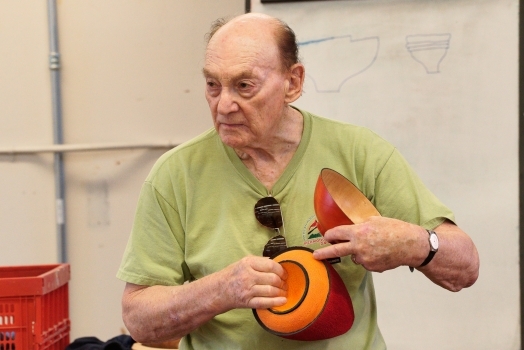 And then after a short break Ron’s presentation focused on discussing how the orientation of bowl blanks cut from wet wood change shape as the wood dries. 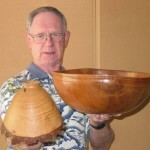 Ron had many examples of his own bowls to illustrate his talk which he last discussed with the club over 3 years ago. Since then he has gained additional experience and we have many new members who benefited from his expertise. Check out Ron’s Gallery for more photos of his work. Show N Tell table from June. 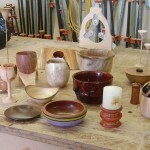 A display of Ron Lindsay’s bowls which he used to demonstrate his talk. 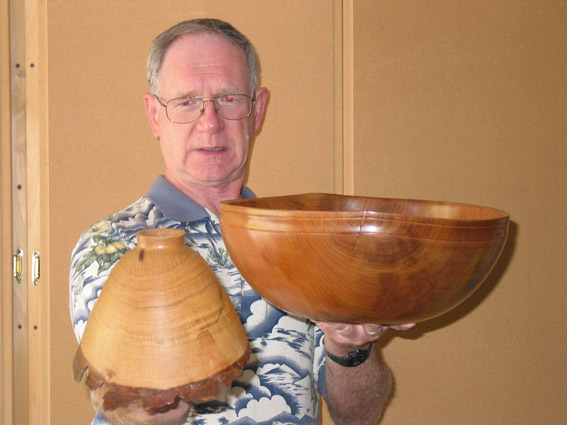 Ron holding two bowls demonstrating their relationship to the position of origin from the log.